There is something very exciting about watching movies for free (usually before they are released), letting people know your opinion, and then being paid to do it. As a movie reviewer (also known as a movie critic) or movie writer, you will have a rare chance to write about something you love. You will be able to do something as part of your job that you would otherwise do for pure enjoyment. In fact, nearly everyone is already a movie reviewer. We all sit down with friends or family to discuss and debate the merits and entertainment value of the latest films. However, movie reviewers influence a lot more people with their opinions. According to a recent online report, several movie reviewers including Roger Ebert are among the 100 most influential people in movie history. It's no wonder movie reviewers have rare access to the stars. Celebrities depend on the media, so many of them are just as happy to meet you as you are to meet them. 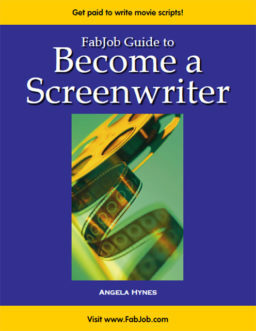 Many reviewers have gone on to careers in the film industry themselves. If you love movies so much you want to make them, working as a movie reviewer can teach you about the movie industry “on the job”, and give you the contacts to enter one of the world's most exciting and competitive businesses. 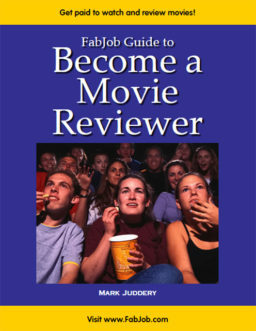 If you would like to break into the exciting career of movie reviewing, the FabJob Guide to Become a Movie Reviewer is for you! 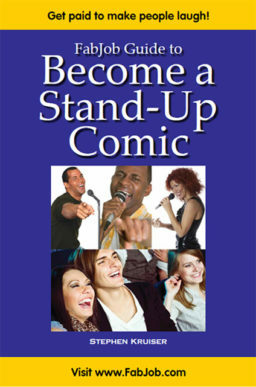 In this e-book you will discover how you can get started and succeed as a movie reviewer. The guide's author is Mark Juddery, who has taught classes on movie reviewing, and written about the movies for 15 years for magazines, newspapers and websites. Although he lives thousands of miles away from Hollywood, Mark has interviewed many stars and his numerous writing credits range from major daily newspapers to Mad Magazine (movie parodies, of course) to Salon. In this guide he shares with you his own experiences as well as insider tips and expert advice from 20 professional movie reviewers. You can have all this and more for an incredible price. It would cost you from $50 to $300 (or more) to attend a writer's conference, and chances are it would not include specific information about movie reviewing. The FabJob Guide to Become a Movie Reviewer contains some of the best career advice you could get from other sources, plus much more. The information in this guide can save you many hours of research, help you avoid some common mistakes, and give you information you need to break into the exciting world of professional movie reviewing. You can earn back the price of the guide with the first movie review or article you sell. Plus this guide can help you get paid to write about the movies more quickly. If you believe you deserve to have the career of your dreams, this guide is for you. It gives you what you need to know to become a successful movie reviewer.